After we made these leaf crowns last week, we had some felt leaves left over. And so we made turkeys. Naturally. I actually had the mini pumpkins left over from another project as well. I love it when I can use up what I already have (and when I don’t have to put on pants that button and go to the store to buy craft supplies). 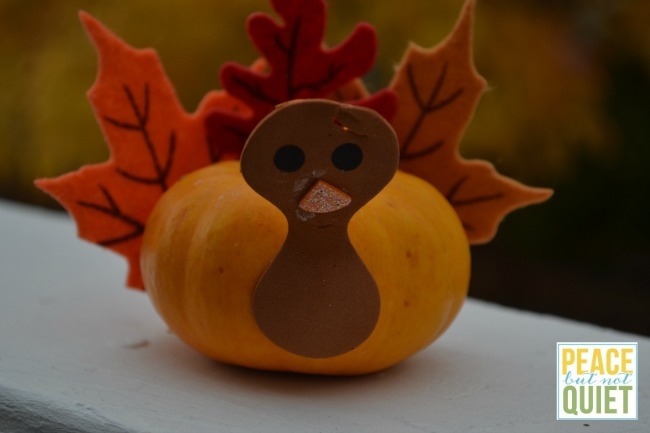 So we just glue-gunned the felt leaves on the back of this mini pumpkin. We cut out a figure-eight shaped piece of brown foam for his head, and a small triangle for his beak. Drew on the eyes with a sharpie (though paint would work, too). And boom! 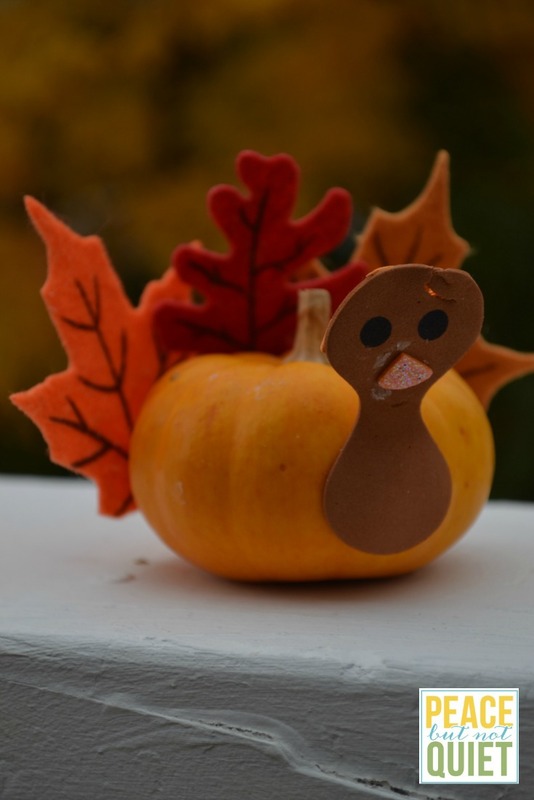 These would be a fun project for kids on Thanksgiving, and you could use them as centerpieces after they’re finished.